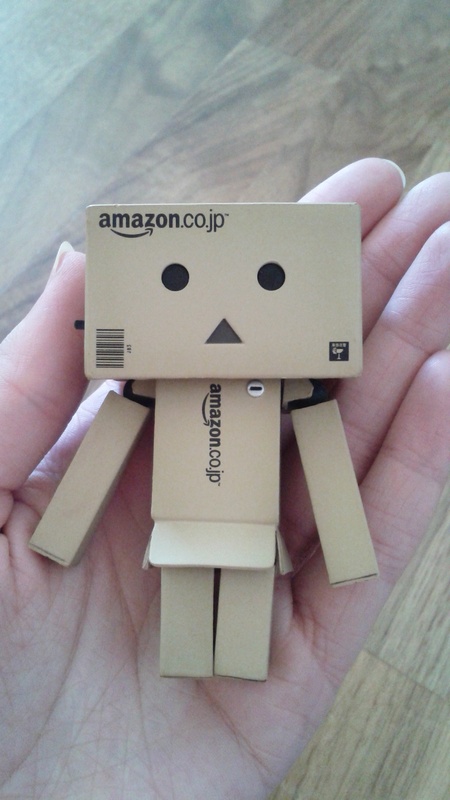 This little guy is a cardboard robot who originally appeared in the Japanese manga Yotsuba&! by Kiyohiko Azuma. I’ve never read it, but I discovered him via a Facebook friend’s photos. 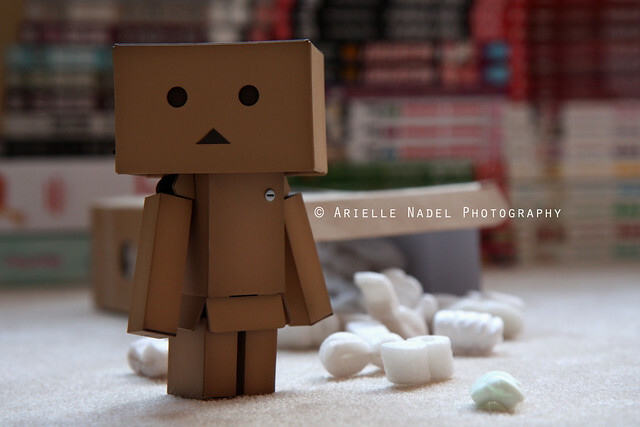 It was quite simply love at first sight for me. Isn’t he just adorable?! I think he’s super cute… too cute for his own good even. Obviously I’m not alone in thinking this, as he even has entire Flickr groups and Facebook fan pages that have have been created in his honour. (I keep calling him “him” but he could just as easily be a “her”. “It” just seems too cold.) I’m really late to this party, but I’m so glad I got there in the end, as he always puts a smile on my face. Click on the link below to share in the cuteness. People’s creativity really knows no bounds! 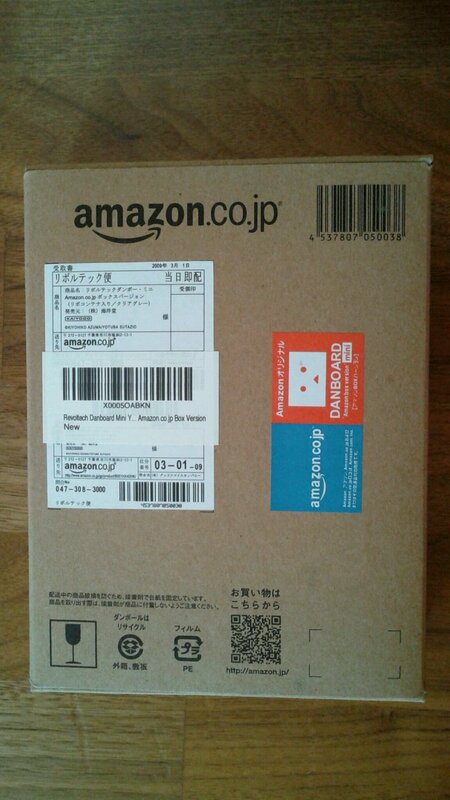 I ordered the Amazon.co.jp mini Danbo, and yes, it’s super meta. 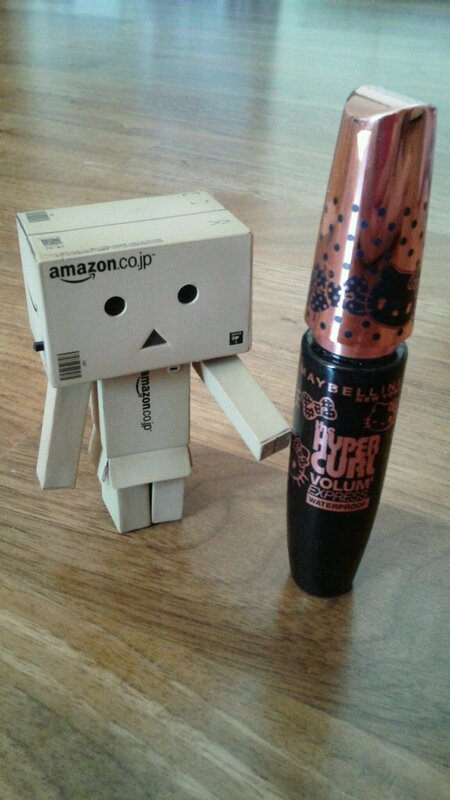 He has already found his way into my makeup bag! I knew it! We’re just meant to be together!